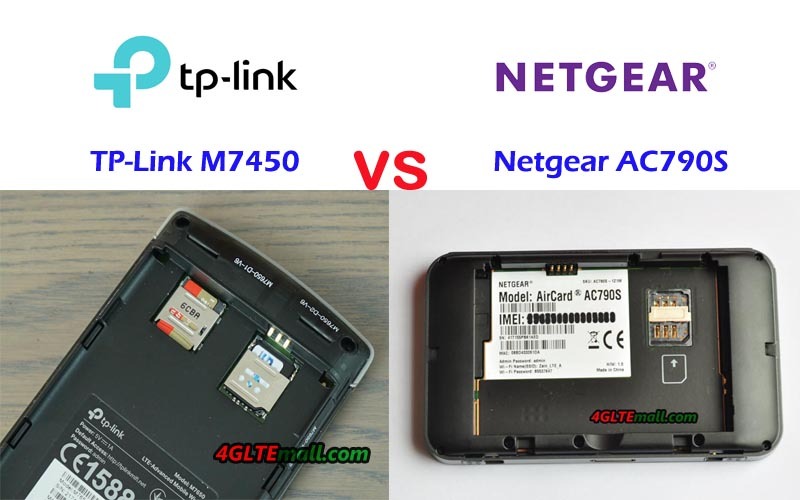 From the specs table, we can see the TP-link Pocket WiFi M7450 and Netgear AC790S are both LTE Cat.6 router with Qualcomm chipset. They can both support download speed up to 300mbps. Netgear Aircard 790s is more user-friendly with the touch screen but they both could be managed through the APP. TP-link M7450 supports more WiFi users up to 32 while Aircard 790s supports only 15 users. TP-Link M7450 supports more LTE frequency bands which makes it work with more network providers’ SIM card. 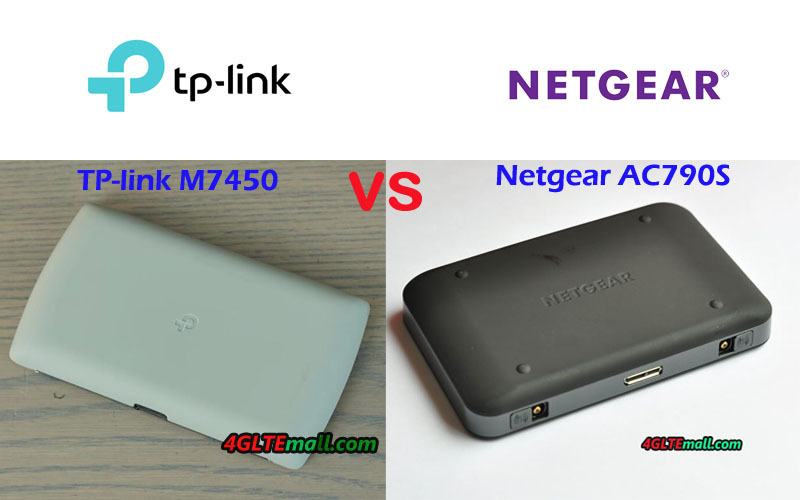 Other features of TP-link M7450 and Netgear 790S are very similar: similar size, similar battery feature. 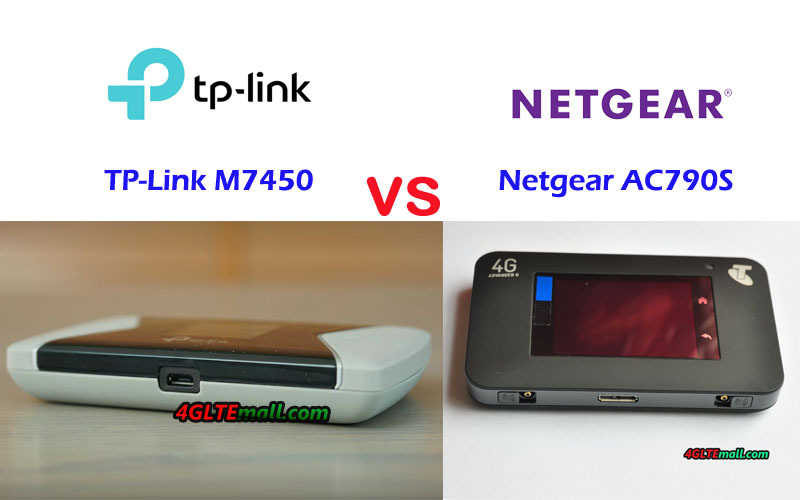 However, the TP-link M7450 price is very high compared with similar 4G LTE Cat.6 Mobile WiFi routers such as Huawei E5786 and ZTE MF970, perhaps because it’s a new model. The old model Netgear AC790s price is almost only the half of M7450 price. So the Netgear AC790S mobile hotspot is highly recommended considering the performance, user experience and price.